Bob: First I want to welcome you, Carole Lynne. Carole Lynne: Thanks Bob. I always look forward to talking with you as we have such interesting conversations. 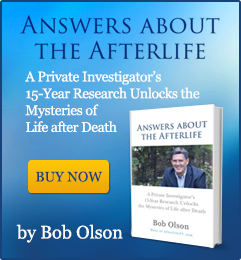 Bob: Now you know that I write and speak about grief, and that I believe that learning about life after death provides hope, comfort and peace to the grieving, so I am especially excited about interviewing you today. Let’s get started right away because I can’t wait to hear your answers to the questions I have prepared. From your experience, Carole Lynne, why do we grieve when someone dies? Carole Lynne: When we lose someone we are close to, we miss them terribly and if the relationship was a primary relationship such as a parent, spouse or child, we often feel like we cannot go on living without the loved one who has passed. We miss the warm smile, the hug and the closeness of a loved one. Of course we do adjust over time, but the initial feelings of grief are very hard to cope with. Bob: Are there any other reasons why we grieve? Carole Lynne: Many of us feel badly about the physical and emotional pain our loved one may have suffered before passing. We especially grieve for those who are young when they pass. Also Bob, many of us shared responsibilities with the one who has passed, and we suddenly find ourselves having to manage the house or take care of the kids, and basically take on the responsibilities that two people were sharing. So I think we have to be honest with ourselves and admit that we also miss the loved one’s ability to share the workload. Bob: That’s true Carole. We do miss people in many different ways. How does your perspective on grief as a medium differ from that of some people who do not see, hear or communicate with spirits? Carole Lynne: As a medium, I grieve just as deeply and shed as many tears when someone I love passes over. But because I can communicate with those in the world of spirit, I feel comfortable that the person who has passed is in a peaceful place. Knowing that my loved one is in a safe place makes it a bit easier for me to let go. Bob: But if mediums know that their loved ones are in spirit, why is it that mediums grieve? Carole Lynne: The fact that I can see my father in spirit does not mean that I do not miss taking a walk with him or singing a song with him while he plays the piano. The fact that I can talk with him in spirit does not replace his physical presence in any way. Bob: Is it your experience that spirit communication is helpful to the grieving process? Carole Lynne: I feel that spirit communication is extremely helpful to the grieving process. If Jane has a reading and her mother comes through in spirit and tells Jane that she is all right now, Jane is going to feel an incredible amount of peace. Jane’s mother might also come through and thank Jane for all the care she gave her before she passed. Sometimes a loved one in spirit comes through and says something such as “I know you did all you could for me. It was not your fault that the doctors mixed up the medication in the last few weeks. There was nothing you could have done about it and I was going to pass soon anyway. Get rid of the guilt you are carrying around.” Bob, when there has been confusion at the end of a loved one’s life and those still living are wondering “what happened,” it is incredibly healing when a loved one in spirit comes through a reading and clears up the mystery. Bob: I would think that would be very healing for those receiving the reading. Carole Lynne: Yes, it is extremely healing. There are also many loved ones in spirit who come through and thank their families and friends for all the care they received before passing over. I could probably write an entire volume on why spirit communication is so helpful to the grieving process. In a few words: spirit communication is helpful to the grieving process because we realize that we are not totally cut off from the person who has passed on. We learn that while it is not possible to be with the person in physical form, we can still be in touch with that individual on a spiritual level. Bob: Do you think many people feel the presence of their loved ones in spirit? Carole Lynne: Many people who lose loved ones do feel the presence of loved ones in spirit. They naturally question the validity of these experiences and suspect that they are not really seeing spirits but that they are imagining the images of the spirits they are seeing. Then when they have readings with a good medium, and the medium who has no knowledge of those who have passed over, sees the same spirits, those who get readings begin to realize that they are indeed having spiritual visitations from loved ones who have passed over and are not experiencing an over-active imagination. Bob: But Carole, not everyone feels the presence of their loved ones. What about the people who do not feel this presence and depend on a medium to bring through messages from their loved ones? Carole Lynne: You are right Bob. Many people do not feel the presence of their loved ones and of course they are very excited when a medium is able to describe their loved ones and bring in messages. After having a good reading and becoming comfortable with the whole process of spirit communication, some clients start to be a bit more adventurous and as they open up to sensing their loved ones in spirit, they begin to be aware of their loved ones around then. Bob: But what if someone does not want to sense the presence of spirits and prefers to leave the work to you? Is that okay too? Carole Lynne: Absolutely. I never put any pressure on any of my clients to sense the presence of their loved ones. Some people like to have a reading once a year to “check in” with their loved ones and let me do all the communicating with the other side of life. Bob: How quickly can a person in spirit communicate through a medium after they have crossed over? Carole Lynne: In my experience, I have brought spirits through within hours or days of the passing and for some spirits it has taken months or even years before a grieving person has heard from a spirit through me or any other medium they have seen. Bob: How quickly do you feel it is healthy for a grieving person to get a reading after someone has passed? Carole Lynne: I suggest that people wait at least a month after the passing of a loved one before having a reading. I find that people are extremely emotional who come for a reading within days of a passing. And if the loved they want to come through does not come through in that particular reading, it is extremely painful for the person receiving the reading. I feel that help from family and friends is more appropriate for the first few weeks. Bob: Is there a certain time period in which a spirit may be available? In other words, can I go to a medium years after someone has passed and possibly hear from that person? Carole Lynne: Absolutely. I do not feel that there is any particular “window of opportunity.” I think that the spirits of loved ones who have passed over will always be available for us to communicate with. 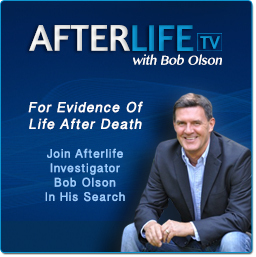 Bob: Are our loved ones in spirit aware of our grieving immediately after they die? I am mostly wondering if they are with us when we first learn of their death, or at the hospital when we watch them pass, or at the church or burial service. Carole Lynne: I would have to answer “all of the above.” While bringing through messages from spirit, I have heard those who have passed over say things that give me the impression that many of them do know everything that is going on just before their death and after they pass. They sometimes talk about the funeral service, or what was placed in the coffin. I had a child come through and thank her mother for putting her white teddy bear in the coffin. Another man in spirit come through and thanked his wife for putting silver dollars in the coffin. I have also heard those in spirit comment on the music played at the memorial services. Bob: Is there something we can do to make a connection on our own after a loved one has passed to get a sign that they are okay? Carole Lynne: What all of us can do to help our loved ones in spirit communicate with us is to be open to the experience. We can honor the lives of our loved ones by keeping their presence around us with pictures and other personal items that they possessed. When I try to imagine myself as a spirit who has passed over, I think I would want to feel that my family still wants some of my things around. As a spirit, I would not want my family in their grief, to stop talking about me or looking at my pictures. I would want my family to send me prayers and love each day. As a spirit, I would want the memory of my physical presence to be part of the life of the family every day. I certainly would want my family to go on with their lives and I would not want them to think about me all the time, but I would not want them to try to shut out thoughts of me either. Bob: Do you think that some people who are grieving deeply try to shut out thoughts of those who have passed? Carole Lynne: Yes, I do and I think that this makes it difficult for spirits to communicate. If we can welcome our loved ones from spirit, they will surely find a way to communicate with us in one way or another. Bob: When they try to make contact, how to they give us signs of their presence? Carole Lynne: My loved ones have come in dreams, in visions within my mind, and I have heard their voices. Most of the time when I see them, it is within my mind. A couple of times I have seen images of spirits almost as clearly as I would see someone who is alive. 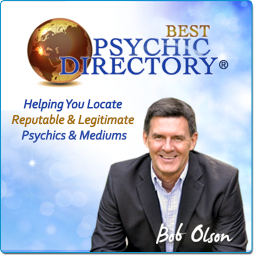 Bob: Do your clients report that they have seen their loved ones in spirit? Carole Lynne: Yes. While this is fairly rare, a number of clients have reported to me that they have actually seen their loved ones sitting in a room as real as if they were living. Many clients have reported feeling a breeze within a room in which no windows are open. Some have reported seeing a spirit out of the corner of the eye, while others report while not seeing anything, suddenly feeling the great presence of a loved one who has passed. Some people suddenly smell the perfume mother used to wear while others hear her singing an old favorite song. Bob: Well, if some people feel the presence of their loved ones in spirit, why go to a medium? Carole Lynne: One of the great reasons for seeing a medium is that if you are having experiences and feeling the presence of a loved one in spirit, and the medium who does not know you or your loved one in spirit then sees the same things you have been seeing, you will know that it is not your imagination and that you are truly seeing spirits. Bob: Can you describe the ways that those in spirit let their loved ones know that their visitations are real? Carole Lynne: I have had loved ones in spirit come through in readings and describe things that are going on right now. For instance in a reading I have reported things such as “ your wife in spirit is telling me that there is a new orange chair in your house and she feels comfortable making a visitation in the vicinity of that chair.” As the man receiving the reading verifies that he does have a new orange chair in his house, he is also realizing at this moment that his wife is actually talking to me. Otherwise, how would she know about the orange chair? And how would I know? And when his wife in spirit also says that she knows he is not taking his medications, as he should, then he knows that his wife in spirit is visiting him or how would she know that he has not been taking his medications properly? Bob: It sounds like the spirits come through in many different ways. But are there particular signs should we watch for? Carole Lynne: I believe that if we are open to spirit communication, we will know when our loved ones communicate in dreams, in visions within minds, or in those moments when we deeply feel the presence of loved ones from spirit. As each one of us opens up spiritually, we will be better able to experience those spirits around us everyday. However Bob, I do have to warn that while I think it is important to be open to receiving signs that your loved ones from spirit are around you, I caution people about becoming obsessed with looking for signs. If one is open to the presence of a loved one from spirit, it will happen naturally. Bob: Do you have any experience indicating how people in spirit feel about our grieving? More precisely, is it painful for them to see us in a state of grieving; do they consider our grieving a testament to our love for them; or would they prefer we reacted to their passing in some other manner? Carole Lynne: As a medium who brings through many messages from spirit, I find many variations in the ways that those in spirit express themselves. As a medium, I find that those spirits who communicate through me to be as different from each other as you and I are. What this proves to me is that when we make our transition into eternal life you and I will take with us the consciousness we have created and will retain many of our personality traits. In fact, Bob, I hope we do so that you and I can continue our interesting debates when we are both in spirit! 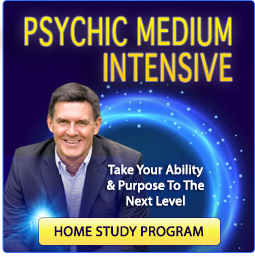 Bob: Ok Carole, I do understand that spirits communicate differently. So can you share some examples of how different spirits feel about the way we grieve? Carole Lynne: Certainly. One man in spirit found it quite painful to see his wife grieving because she was not taking care of herself. He came through quite concerned about his wife and told me to tell her to eat regularly because he could see that in her grief she was not eating properly. This was a phone reading, and so of course I could not see the wife for whom I was giving a reading. When I delivered the husband’s message, she agreed that she was not eating and losing weight. She was very touched that her husband had come through telling her to start eating more. She cried tears of joy as she realized he was still looking out for her from the world of spirit. This man in spirit was upset that his wife’s grief was making her ill.
On the other hand, I have had a woman come through from the world of spirit and talk about how she never knew how much so many people loved her until she saw so many people in tears at her funeral. In this case, the showing of grief helped this woman in spirit to realize the love she never fully accepted when she will alive. Bob: I have heard people say that we can hold spirits back or close to the earth if we don’t let go of them. Do you believe that? Carole Lynne: I have no reason to believe that. Many of the spirits who come through readings seem to be involved in reuniting with others in spirit and in reviewing their lives. They seem to be doing that regardless of how people on earth are reacting to their passing. Bob: Some people’s suffering is magnified by their regrets of negative things they said or did, or did not say or do, prior to a persons death. How do we deal with these regrets? And it is equally beautiful when someone having a reading says to me “tell my mother in spirit that I really did love her even though I did not always act like it.” And then to have the mother respond, “thank you honey and do you remember that wonderful boat cruise we took together. Let’s remember the good times we had.” And what is even more exciting is that the woman having the reading comes to understand that she can continue to talk to her mother her own, without my help, and her mother in spirit will hear her. I could go on and on about these beautiful communications Bob. Bob: I can understand why Carole. As you talk about people in spirit coming through with apologies for something they did while living, I am wondering if all spirits are ready to apologize? And what about those who receive readings: is everyone who receives an apology from someone in spirit ready to offer forgiveness? Carole Lynne: Some spirits who really owe someone an apology are ready to say they are sorry and some are not. And some people who receive apologies from someone in spirit are ready to say “I forgive you” and some are not. I guess the best way that I can put it is that when you communicate with a loved one in spirit, it is similar to communicating with people who are alive. Sometimes you will hear what you want to hear and sometimes you won’t. I cannot sugarcoat the situation. What is important is that your conversations with your loved ones are not over when they pass over, so you can resolve unfinished business. It may not happen in the first reading, but over a period of time you will resolve unsettled issues. Bob: Our society seems to have expectations of how long people should grieve. I often see people trying to rush people’s grief through to healing. What are your thoughts on this? Is there a proper timeline for grieving? Bob: Similarly, people seem to have strong feelings about grief after the loss of a child. What are your thoughts on this? Carole Lynne: Does a couple who loses a child have the right to have another child? Of course they do. And do they also have the right to make a decision not to have any more children? Of course they do. I think each one of us has a right to our choices. Bob: Does a person who knows they can still communicate with someone who has passed make different choices than a person who does not really understand that we survive death? Carole Lynne: I think so. My thoughts have changed since I received the gift of being able to see spirits. Before I saw spirits, I thought that when a person passed on they were really DEAD in capitol letters! But now, I have a different feeling because I feel the spirits around me every day. If someone passes on, I feel that they are still there, only in another dimension. Other people who have had readings and heard from their loved ones in spirit cannot help but have a different vision of life and the afterlife than a person who feels that death is the absolute end to everything. Bob: So how does being able to communicate with our loved ones in spirit affect the choices we make for the rest of our lives? Carole Lynne: I have had a boy in spirit come through and tell his girlfriend that she should move on and start dating. Now whether she chooses to do that however, is her choice and not the choice of the loved one in spirit. In my opinion Bob, if someone chooses to live with the memories of someone who has passed and that keeps them from having a new romantic relationship, I feel it is a choice one can make and not necessarily be “stuck in grief.” And on the other hand, the person who does not want to live with his or her memories or be visited frequently by someone who has passed also has the right to move on and ask that spirit to move on. Bob: Okay, I understand there are variations on how those in spirit feel about the way we grieve and the choices we make, but what if a person’s grief keeps them from functioning normally? Carole Lynne: If a person’s grief keeps them from functioning and eating well, sleeping well and in all ways having a successful life, then this is unhealthy grief. A person hanging on to destructive grief needs to see a therapist, a grief counselor or be part of a grief support group. I find that when loved ones in spirit see that those who are still living are ruining their lives with their grief, they usually try to help the grieving people. I do not think anyone, living OR in spirit, wants to see people die of grief. Bob: What advice do you have for the grieving who wish to move beyond their grief and begin living without the pain associated with their loss? Carole Lynne: I think all of us need to move beyond our grief no matter what choices we make about things such whether to remarry or not. I encourage you and everyone to find a special place in your heart for the person who has passed on. Know that your loved one is in a safe place: a place to which all of us go when it is our time to move on into eternal life. Send prayers to your loved one, visit your loved ones place of burial and pay respect. But go on with your life and live a full life. Life is too short as they say. In my heart Bob, I do not believe that those who have passed want us to spend the rest of our lives mourning. Bob: Do you believe that we ever really “heal” from our grief? Carole Lynne: I do believe that we can heal from our grief. It may take many years. I do think that communicating with our loved ones in spirit speeds up the healing process. I feel blessed to have been given the gift of mediumship and grateful to be able to serve others and help them through the grieving process when I bring them communications from their loved ones who have passed into eternal life. Bob: This was enlightening; Carole Lynne, and I believe it has served to offer hope, comfort and peace to anyone dealing with the loss of a loved one. 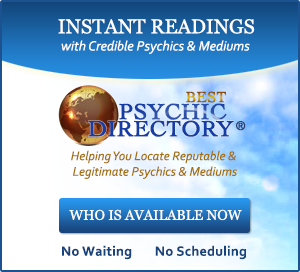 If people want to get a spirit communication reading with you, how do they contact you? Bob: You also have a website, what is that address? Well, I can’t express my gratitude enough, Carole Lynne. I know I have learned a great deal here and I’m pleased to be able to offer this valuable insight to OfSpirit.com readers. Thanks so much for this interview! Carole Lynne: Thank you also. I really enjoyed talking with you.